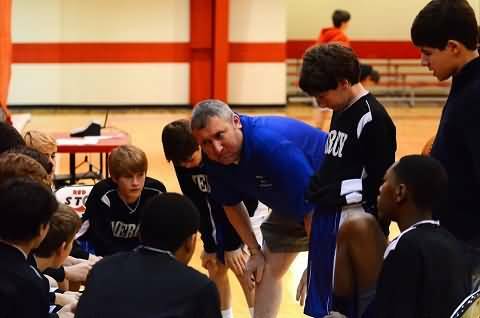 Thirty-two years coaching basketball (since age 14 with elementary school children) has allowed me reflection of my many errors plus selecting what I believe are personal traits coaches on any level should possess. Many I identified are 'given' fundamental building blocks of character: a strong personal value system not simply expressed but demonstrated, ability to teach, imagination (articulated by Bob Knight), and willingness to consistently improve knowledge. However, while considering coaching philosophy, I find myself always reverting to what is most important in my opinion - effective communication skill. While paramount for goal achievement, at times it appears secondary within our coaching/teaching lives. No coach will ever transform twelve to fifteen players into a cohesive unit without superior language skill; allowing players to understand and execute his or her system of play. For my professional philosophy and mission statement, I consider it the primary purpose of formal education (of which coaching is a component), serving as the basic primer, when mastered, results in success on any basketball court. Please realize I make only a group judgment, perhaps not applicable to every coach reading my ideas. However, I observed the problem over three decades by watching practices, listening to interviews, reading coaching material, and attending clinics; concluding it problematic for many colleagues on all levels from middle school to professional. Take a moment and ponder the urgency of coherent communication. There exists no thought or understanding of any single idea without language; sadly locking a door which when open can lead to a satisfying life of being a: basketball coach, employee, student, player, spouse, or parent. Without cogency, we are doomed to mediocrity; frustration will mount - being stifled, throttled, capped, bottled up, and (as I express to students enrolled in my coaching theory courses at LSU) suffering a malady termed 'constipation of expression'. Books, videos, team meetings, halftime adjustments, scouting reports, and motivational speeches allow us to study and teach our sport as others live it; but all would only be blank entities without words. The purity of coaching is watching players learn to make fundamentally sound decisions at game speed. A coach reaching his or her potential does so by teaching players how to understand teammates with whom they share the court. Sadly but commonly, players are unable to execute a play or drill due to average or substandard skills of comprehension. Understandable speech and prose are basics for every pursuit in basketball plus any endeavor during the course of life. Coaches have a moral duty to emphasize refining and improving substantive language skill for speaking, writing, and thinking. "But... you might argue, "I have made it this far in my career, won championships, and had kids play at the next level. Wasting time reading this essay does nothing for my ability to coach. Leave me alone and submit your garbage somewhere else." 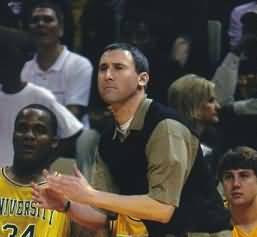 As a young coach, I was self-centered; hell bent on proving technical knowledge to gain credibility because I was beginning my formal career on the Division I level at age 24. The philosophically altering lesson I learned after the disappointment of losing my job thus extinguishing any opportunity to remain in college basketball, was the idea that every human being exists on his or her own private island. The only fuel as we enter the mainstream of adult life for travel to another island or two people to a third island is through exceptional communication. By daily development of better language skill, we create another 'given' added to our coaching persona; we negate an idea from Confucius, "A fish is unaware of the water in which it swims." Often we fail in finding exact words to express what is in our brains and hearts; ultimately spilling out of our mouths or on paper vague verbiage mirroring every other coach: "like", "really", "ya know", "whatever" coupled with overuse of: "that", "what" plus numerous grammatical articles. Hence, our verbalized ideas are not what we want to say. Classroom teaching and coaching has historically provided multiple-choice answers for an essay test called life. A serious basketball coach must truly desire reaching professional potential in lieu of only winning games. Therefore, he or she must PRACTICE COHERENT EXPRESSION, akin to a player working to improve the jump shot. Mastering exactitude and nuances of language directly affects your ability for clarity sharing ideas, expectations, and feelings while understanding the same from members of the coaching staff and team. Perfect communication is simple, precise and paints pictures using words. Become well versed with language and you will begin to observe players mimicking your effort within this personal domain during practice and games, thus bonding the team and allowing achievement of: reaching team goals for a season, perhaps program relevance , a championship, or preparing for life after basketball. Never would we accept ineptitude if blind or deaf; why accept angst because the team habitually fails to connect or buy into themes and explanations? It is fundamental, more urgent than dribbling, passing, or defense - CARE ABOUT LANGUAGE, a lucrative trait, which will permanently improve the life of each player.